Gloria M. Shock, 87, of Venice, Florida passed away on October 20, 2018. Gloria was the widow of the late Oliver T. Shock Jr. She is survived by a step daughter, Ginger (David) Sirois of Granite City, IL, a brother, Michael Clemente of Margate, Fl. and a sister Cathie (Bob) Galgano of Ronkonkoma, N.Y. She is also survived by an aunt, Barbara Shock, of Nokomis, Fl., an uncle Donald B. Wilson of New Freedom, Pa., nephews D. Randall Kirkland, Daryl Kirkland, Robert Galgano, Jr., Michael and Vincent Clemente, Guy and Gregory Cusimano, Thomas Crowley, nieces Lisa Thompson, Jannine Corso, and Jennifer Cheshire, grandchildren Paul, Ashlee, Joshua, J.T., Jacob and Nicholas, great grandchildren Peyton, Jasmine, Jillian, Caesar, Trevor and Rhys. Gloria was predeceased by her two sons Russell and James Prestia and her brother Daniel Clemente. 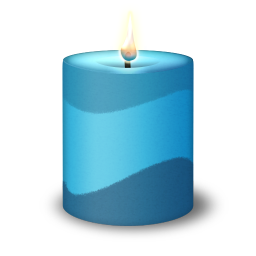 Our sincere condolences in the passing of Mrs. Gloria Shock ~ Kimberly and staff at Sound Choice Cremation & Burials , Sarasota, FL. The services for Gloria have not yet been added. Please sign up below to be notified when the services are ready. The attached photos are added to the memorial of Gloria Shock to help share their legacy. Please help memorize Gloria Shock by recording your attendance below.